November is often considered one of Canada’s bleakest months. Sunset comes earlier and earlier. and the days and nights are usually cool and filled with rain or snow or both. So why not improve your mood by heading out to see some live music in Peterborough and the Kawarthas? There are lots of shows happening this month, but here are the ones I’m most excited about. Enjoy! One of Canada’s best string bands, The Lonesome Ace Stringband takes the stage at the Gordon Best Theatre (216 Hunter St. W., Peterborough, 705-876-8884) on Friday, November 2nd. Featuring Chris Coole on banjo, John Showman on fiddle, and Max Heineman on bass, these guys can straight out fly on their instruments, but they can also unleash layers of emotion and tearjerkers as well. I don’t have much else to say about this one … just go! Tickets are $20 and you can get them at the door or at The Only Cafe. Show time is 8:30 p.m. There will be a resounding double bill on Sunday, November 4th at the Gordon Best Theatre (216 Hunter St. W., Peterborough, 705-876-8884) when two artists who paved their way in the ’90s come to town. The show, being called “Audio Book”, will feature two distinct artists. 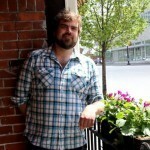 Toronto’s Charles Spearin is a founding member of Do Make Say Think, KC Accidental, and Broken Social Scene. His work “discovers and plays with the musicality of every day life.” Spearin uses spoken word and instrumentation to create a stirring show. He will also be playing the nickelharpa, a traditional Swedish instrument that combines the fiddle and the hurdy gurdy. Also on the bill is the excellent Tamara Williamson. Her tunes are haunting achievements of songwriting. Tamara will be joined by her band Mrs. Torrance. Opening the show will be Toronto-based songwriter Sarah Fazackerley. The cost to get in is $20 and tickets are available at the show, which takes place from 6 to 9 p.m..
Peterborough celebrates the memory of one of its hometown musicians on Tuesday, November 6th at The Historic Red Dog Tavern (189 Hunter St. W, Peterborough, 705-750-1710). Jan Schoute passed away suddenly this time last year and a bunch of friends and Peterborough musicians will be playing tunes in his memory and looking to raise money for a memorial bench and plaque. Musical acts include The Weber Brothers, Terry Guiel with Jan’s old band Jericho’s Wall, and the Rick and Gailie Band. Admission is free but donations can be made for the bench and plaque. Music begins at 8 p.m. Broken Harmony brings a high-energy show full of originals and well-crafted covers to The Garnet (231 Hunter St. W., Peterborough, 705-874-0107) on Monday, November 12th at 9 p.m.
There’ll be slick guitar, active bass, rocking drums, and tunes that will have you moving. Rachel Beck is a big-time talent from PEI and she performs at The Garnet (231 Hunter St. W., Peterborough, 705-874-0107) on Tuesday, November 20th. Rachel has been in the top 20 on CBC Radio 2 recently and had her songs used in some TV shows, including Anne with an E on CBC. Her music is ethereal yet grounded, featuring catchy melodies, and her lovely voice with a ride range. Tickets are available at the door. Doors open at 8 p.m. If you’re into powerful vocal performances and songs that give you goose bumps, then you have to go see Irish Mythen at Market Hall Performing Arts Centre (140 Charlotte St., Peterborough, 705-749-1146) on Wednesday, November 21st at 8 p.m.
Born in Dublin, Ireland, Irish now resides on PEI. She has become an acclaimed artist throughout Canada and beyond. Did I mention that she has an amazing voice? Opening the show is clever storyteller and weaver of tunes Jory Nash. Tickets are $23 for a general admission and $28 for an assigned cabaret table seat. Tickets are available at the Market Hall Box Office or online at markethall.org. It’s two great shows in a row at Market Hall Performing Arts Centre (140 Charlotte St., Peterborough, 705-749-1146) as Newfoundland’s sweethearts The Once return to Peterborough on Thursday, November 22nd. 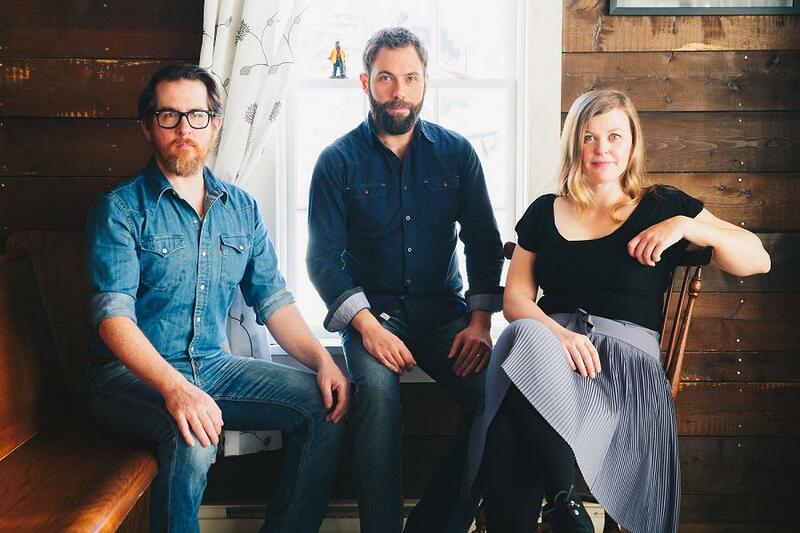 The Once is made up of lead vocalist Geraldine Hollet, Phil Churchill with backup vocals, guitar and kick drum, and multi-instrumentalist Andrew Dale with vocals, mandolin, banjo, and bouzouki. Folk Under the Clock is presenting this excellent trio, who are promoting and showcasing their latest album Time Enough. Their sound is rooted in familiar territory, yet it soars into its own creative space with beautiful harmonies and full instrumentation. Lovely lush layers and gorgeous tunes will make for a great night out. Toronto singer-songwriter Megan Bonnell, a two-time Canadian Folk Music Award nominee, will be opening the show. Tickets are $40.50 general admission or $45 for an assigned cabaret table seat and are available at the Market Hall Box Office or online at markethall.org. Get ready for some more East Coast vibes at Showplace Performance Centre (290 George St. N., Peterborough, 705-742-7469) when Foley’s East Coast Pub show returns on Sunday, November 25th. This year’s show is raising funds for the United Way of Peterborough & District. In between fun and historic stories told by Hugh Foley, you can expect to hear nine local musicians performing tunes from some of Canada’s most renowned Maritime and Newfoundland artists, including Ron Hynes, The Bara MacNeils, Lenny Gallant, Rita MacNeil, Great Big Sea, and more. Music will be performed by 4 Front (Terry Finn, Theresa Foley, Sheila Prophet and Norma Curtis) with special guests Fiddlin’ Jay Edmunds (fiddle, mandolin, guitar and vocals), Ian Anderson (flute, tin whistle, mandolin, guitar), Ron Kervin (bodhran, percussion), Mark Terry (stand up bass), and Bridget Foley (French vocals). The show begins at 2 p.m. and will certainly be a hoot! Tickets are only $20 and are available at the Showplace Box Office or online at www.showplace.org. Jimmy Bowskill has been blowing audiences away with his musicianship since before he was a teenager. These days, he’s a member of Canadian rock band The Sheepdogs and he sits in with Blue Rodeo whenever he can, but he still loves to play his own shows too. On Thursday, November 29th and and Friday, November 30th, Jimmy fronts his new string band The Hometown Beauts at The Ganaraska Hotel (30 Ontario St., Port Hope, 905-885-9254). Expect to hear some new songs slated for release next year, some old classics, and more. There are tickets available for the Thursday show, but the Friday show is already sold out. Tickets are available at The Ganaraska Hotel and Ganarascals 53 Walton St, Port Hope, 905-885-1888) and cost $15. This is one not to be missed! Showtime is 8 p.m.